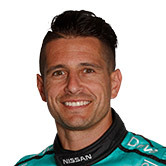 Nissan's Michael Caruso and Dean Fiore are looking for that extra bit of luck at the Supercheap Auto Bathurst 1000 this weekend. Armed with their Nissan Altima - wrapped in 'retro' colours for the weekend, celebrating Nissan's first pole position at the Mountain 30 years ago - the duo is looking to do the team proud at the year's biggest race. "We had great pace at Sandown - unfortunately we had a bit of drama in the pit stop - but we've got that out of the way now and we've saved all our speed and luck for this weekend," Caruso told v8supercars.com.au. "Because it's one thing we see each year at Bathurst, that you have to have a little bit of luck on your side, and that always plays a part here." Nissan this morning lined up the 2014 Altima V8 Supercar alongside the Nissan Bluebird its colours pay tribute to, as well as Nissan's Limited edition of 40 Nissan Pulsar SSS Heritage Edition, which will go on sale later this month. "It's good to honour back in the day - I think the car looks great," Fiore said. "Bringing it into the modern era, it looks unreal. Really excited to be a part of it, I know my job, so I've just got to make sure I hand it to Michael in a good position." Caruso noted strong results in white race cars in the past, having scored ARMOR ALL Pole Position at the Australian Grand Prix support races earlier this year, and also loves the one-off look. "We've had a pretty successful run in white cars - Grand Prix was really good for us and it's so great we can celebrate Nissan's very first pole position with George 30-odd years ago," he said. "I'm very proud that I actually get to drive around in the colours because I think this will be one model car I'll have to get built up and put on the shelf. 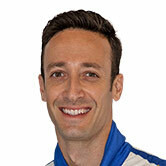 "I think for me personally it's nice I've been chosen to do it for both Norton and Nissan to drive with the colours. Bathurst is always special every year, and it always has a particular reason - it's the one race I think every year if you ask a driver if you could put one away it'd be this one. "So to come here with this on top of racing at Bathurst, is a really good feeling." Caruso recently extended his contract with Nissan, and will remain a driver for the factory squad next year, despite being a victim of 'silly season' speculation earlier in the year. "It's funny, it sort of happens every few years, but it's great continuing with the team was my intentions to always stay, so it's great we can continue and I'm very positive that we'll have a successful future together." The Supercheap Auto Bathurst 1000 begins tomorrow, with the V8 Supercars on-track from 11.05am AEST for the first practice session.